The go-to for all the VDay gifts you need from the beau to the boo. The Floraltique will be hosting her annual pick-up for Beau's to pick up their Valentine's Day Arrangements at Facialworks Pacific City. 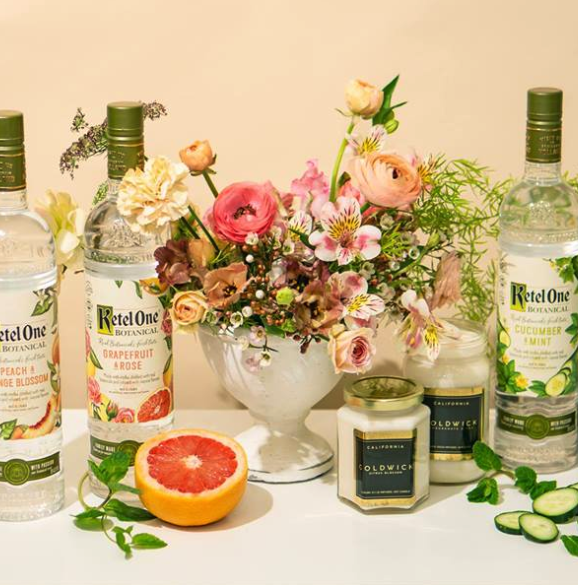 In the theme of beau-tanicals, Ketel One Botanicals will be educating about this new vodka line while passing out Free "Drink Tickets for 2 at Old Crow Smokehouse Huntington Beach CA." available for use through Valentine's weekend! Goldwick Candles will be showing samples of her new gold glitter candle line available for order. Facialworks will be selling $100 gift cards for $75.